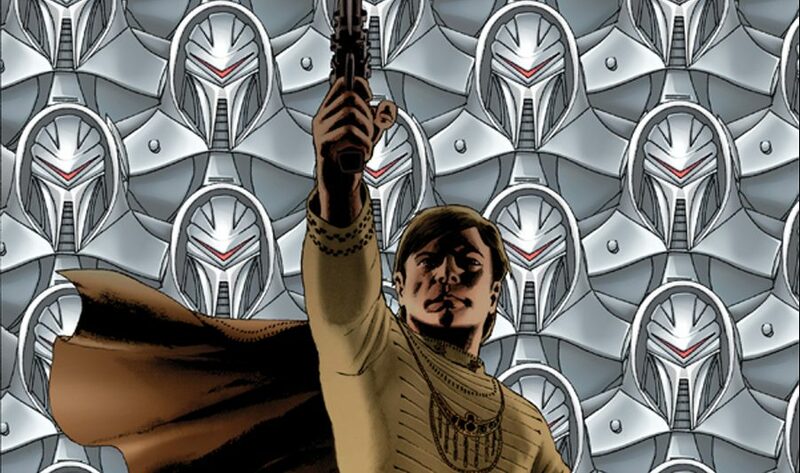 NYCC 2017 & Dynamite Entertainment Spoilers: 1978 Battlestar Galactica Vs. 2003 Battlestar Galactica? Longmire is a riveting series with its mix of small town homicide with old west attitude. These two double feature sets are a play-at-home version Vic Diaz film festival. It was no mystery that Father Dowling had no prayer in its third and final season. At least he had 22 adventures before receiving last rites. The Streets of San Francisco: Season 5, Volume 1 & Volume 2 contain what turned out to be the final season of the cop series. Steve Martin: The Television Stuff brings back such warm memories of his time as a force in comedy. The Rookies is joyfully out of control with outrageous coincidences and over the top cases. The Sixth Season brings another 24 episodes of a private investigator that could track down a killer faster than entire CSI department. What’s interesting in watching Mike Hammer is that [Darren] McGavin is laying down the roots for Carl Kolchak. Hawaii Five-0: The First Season really shows how this is more than a creatively bankrupt retread. This is a sweet tasting twist on a traditional Hawaiian TV staple. Roger Corman’s Cult Classics Triple Feature: Action Packed Collection gives you a good idea of what a grindhouse would project. Television dream team likely to bring the Green Goliath to the small screen in 2012. The catalog release tops the winners list leaving its competition Emerald City green with envy. Hawaii Five-O: The Eighth Season keeps the tropical crime coming in the most unexpected places. Barnaby Jones: The First Season allows us to appreciate what the elderly can offer us in the realm of private investigation. Battlestar Galactica was a big winner, so was HBO's True Blood. The Fugitive: Season Three, Volume Two continues the great pursuit as Dr. Kimble seeks to clear his name and catch the real killer. Warner Bros. has closed a deal to remake John Boorman's 1981 film, Excalibur, with Singer producing and developing and possibly directing. DVD Contest: Ending July with a Bang!